Over the past couple of years, my makeup collection has slowly been filling up with Becca products. 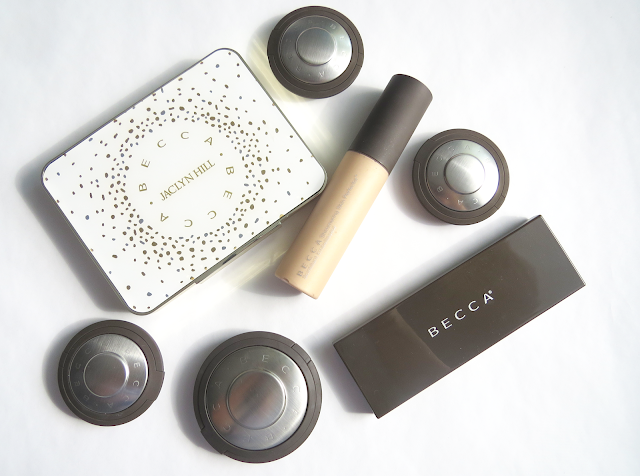 Becca products are high quality and rarely disappoint. 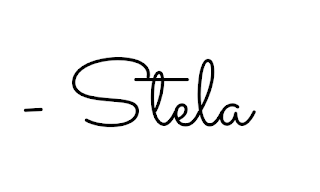 Find out what I've accumulated from the brand below! My first Becca purchase was the Ombre Nudes Eye Palette. This was around the time I was obsessed with the show the Good Wife and wanted a neutral matte palette to replicate Alicia's go-to eye makeup. I've had this palette for a couple years now and it's my go-to when I want a matte neutral look. The colours have great pigmentation and blend well together. I love how sleek the palette is - making it a great choice for travelling. Next up, the Champaign Pop obsession began. I ended up caving and picked up the Champaign Pop Shimmering Skin Perfector. The hype is very real with this highlighter. Not much I need to say that hasn't already been said - it's a great highlighter that provides a beautiful glow. 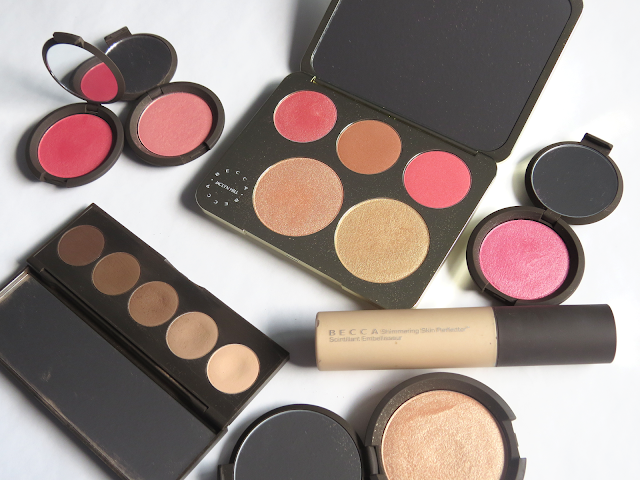 My next obsession with Becca was the blushes. 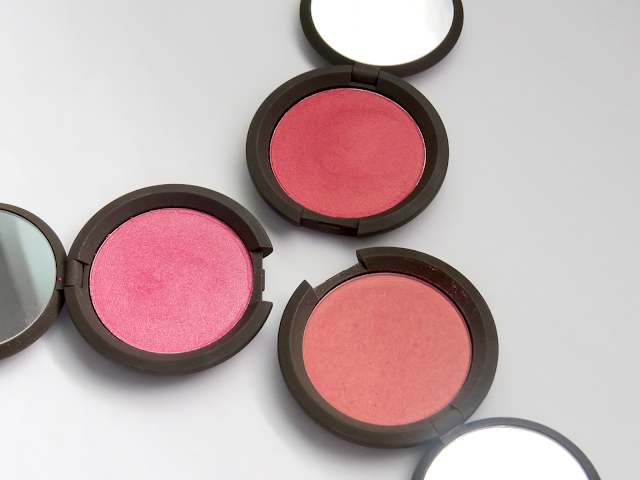 I first dived into the Becca blushes earlier this year when the Luminous Blushes released. I picked up the shade Snapdragon then Camillia as people kept raving about this shade. Snapdragon is a gorgeous coral shade with a peachy/golden sheen. Camilla on the other hand, is a ballerina pink. Both look great on the skin and provide a gorgeous glow to the cheeks. I tend to gravitate towards Camillia more as Snapdragon requires a pretty light hand. Eventually I picked up Flowerchild from the Mineral Blush line. I love this shade for the summertime. It's a peachy/pink shade that I usually gravitate to when I'm wearing blues. This has been one of my go-to shades this summer. I will note that the longevity of these blushes (Luminous and Mineral blushes) are just ok. By the end of the day they tend to be worn off. 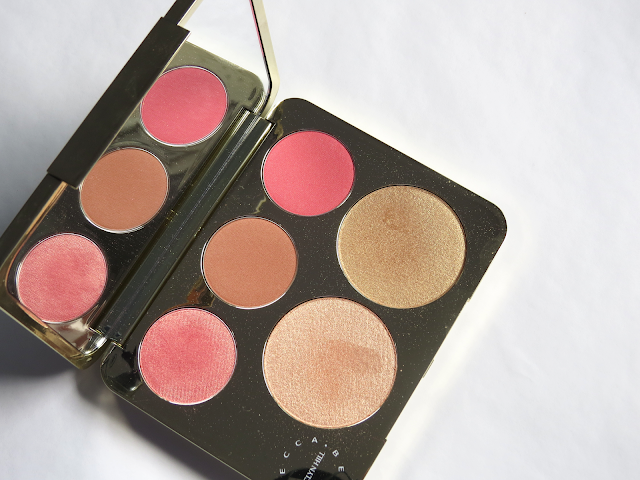 While on the talk of blushes - I also picked up the Becca x Jaclyn Hill Champagne Collection Face Palette. A bit of a back story with this product. Initially I picked this up for my sister for her birthday. Then one day as I was swatching it, I dropped it... and there was damage. The entire mirror broke off and Champaign Pop had the worst damage with more than half being destroyed. As this was a birthday present, I picked up a new one for my sister (pictured above) and kept the damaged one (not picture because the damage is heart breaking). 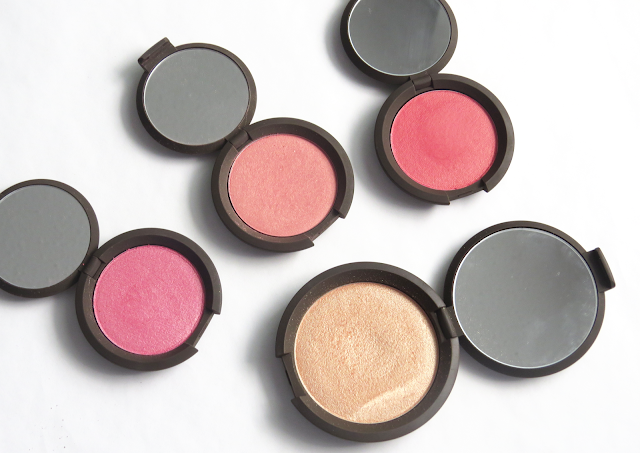 I've played around with it a bit and tend to gravitate to the Rose Spritz Luminous Blush. Prosecco Pop Shimmering Skin Perfector is a gold highlighter that is super pigmented. I tend to only wear this shade at night as I find it a bit too much for the day time. Another highlighter I've picked up is the liquid version of the Shimmering Skin Perfector in Moonstone. I picked this up as I was going travelling in June and wanted a highlighter that I didn't have to worry about breaking. Moonstone is a golden highlighter. I've used this solo on the cheekbones, mixed with my foundation all over the face, or mixed with a moisturizer to highlight the arms and legs. I love how it applies whichever way I use this. It's a great product to have in your collection as it's so versatile. Not featured in the photos above (as I forgot to include it) is a mini Shimmering Skin Perfector in Opal. I got a mini of the pressed version back when Sephora was having a promo code for it. Opal is a golden tone highlighter that I find to be too dark to use on my fair skin. I haven't played around with this too much but I prefer this shade as an eyeshadow instead. And there you have it! My current Becca collection. I didn't realize how many products I had from this brand until I started going through my collection. Kinda crazy how fast I've become obsessed with this brand. 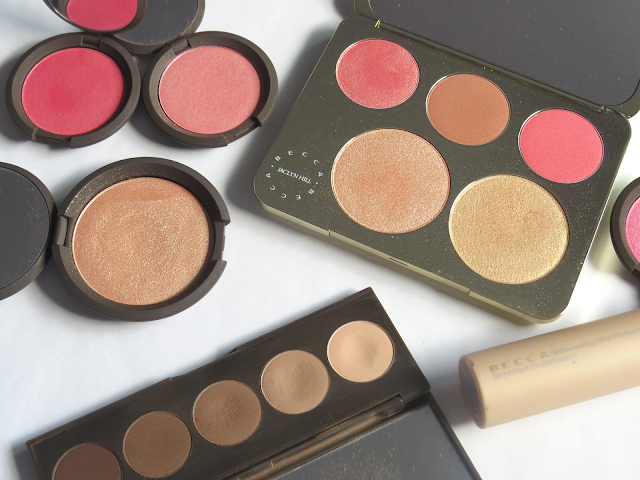 What are some of your favourite Becca products?